Some say that Jiang Anlan was cool and elegant, yet insufferably arrogant; some say that even if you dare to provoke the heavens and earth, you must never provoke Jiang Anlan because he would make you regret it forever; others say that Jiang Anlan’s god-like shamelessness knows no bounds*. 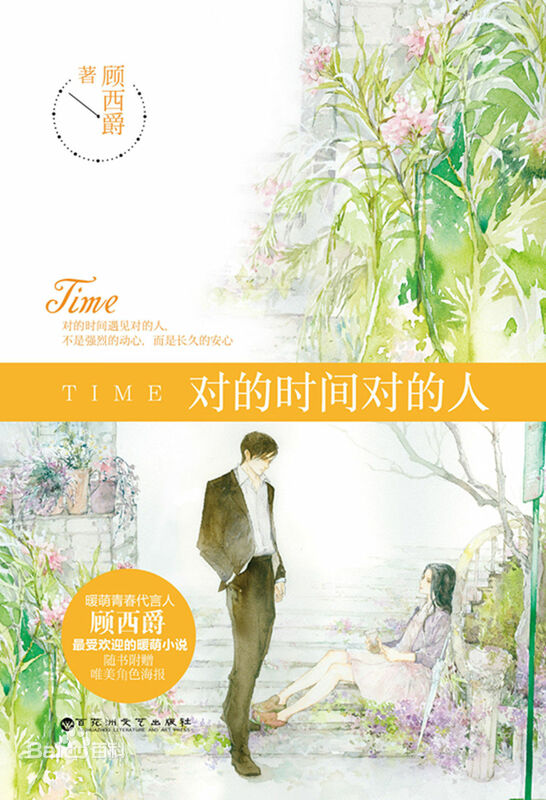 In Yao Yuan’s heart, Jiang Anlan was someone you could view from afar but not trifle with. Until that day, when he coerced her and meowed at her. She felt as if her entire world seemed to be a bit different. He said: After you’ve seen me, you’ll never want to look at others. He said: Forcing someone to become my girlfriend, this kind of thing, I’ll only do it to you. He said: I don’t know how to chase someone, but if you like it slow, then I’ll slow down a bit. He said: Little Yuan…. I’m not kind, but I will never turn my back on you. Dear, was it necessary to be that serious? That time when snowflakes gently fell on his soft jet-black hair, in addition to the laughter and affection in his eyes, I already belonged to you. Those who separate, are not truly in love; those who could not, are predestined. *It could also mean that his skill in debuffing an enemy’s resistances was god-like. Interesting, though you can say it’s the typical guy falling in love first and somewhat forcefull, i still like it! Heheh, what girl/woman doesn’t like to be adored by ikemen albeit the guy is arrogant (eell, he has the right if have the face and ability ^-^)!